What is Bookings and where to find it? As this is my 10th video of this series “Yeaaahhhhyyyy” 🙂 I tried something different. This articles contains more video than usual and as a AFRAIT’S FIRST also a YouTube video for the first 6 sections. This is an experiment, so please let me know what you think about offering a video version in addition to the pure article in the future. Comment on the video, the article below, on Twitter, Facebook or via mail to help me to make the content even better! After the headings for each section you find an icon which opens the video in a new tab to the specific part of the video. For those of you who don’t want to watch the whole video. 😉 Hope that’s alright, so we have short segments or the full version. But before we start we should talk about how do you get access to Bookings, right? Well, Microsoft says that in Office 365 for Business, Office 365 Enterprise E3 and E5 subscriptions, the Microsoft Bookings app is offered through the Business Apps (free) add-on which is off by default. 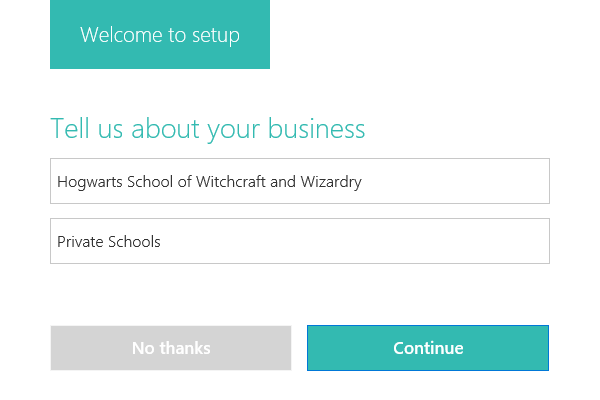 This description really means the specific plan Office 365 for Business and not Business Premium. I didn’t do anything if I remember correctly (I have Office 365 Business Premium) and I can use the service out of the box. If you have a plan mentioned above, check the guided article here to activate the service. When I opened Bookings for the first time I was surprised by the URL. Outlook! Well, that’s crazy, but you will understand in a few minutes why. Click on Get it now and add a new booking calendar. To set up your business information go to this section on the left side menu and edit the information to your needs to make your final booking calendar more relevant to your customers. PS: Have you seen the icon next to the header? That’s your link to the video. You can add a website URL, business phone, business hours, a logo and more in this section. Of course you need to provide a service. Just go to that section in the left side menu and add the services you want to offer your customers. Please note that the initial consult service can only be deleted if you add another service. The above movie ico… Alright, I stop it. You probably thought that’s it, right? Well, that’s what I thought the first time as well, but you have to select your staff as well. It is not that clear that you have to do that, but if you know it, it makes absolute sense. Just click on the staff member who is providing the service. We are now ready to create and publish our booking page. You know where to go, right? That’s right, to the left side menu and to your booking page. 🙂 You can add a personal data collection and usage consent toggle on you page, you can set a scheduling policy, customize your page and set your region settings. If you finished that you simply click on Save and publish and you get your URL to visit the page. Later in this article, I will show you how you can integrate your page as HTML on your website or how you can easily connect it to Facebook. Now, as we set up everything the question is: How does it feel in “real” life? Let’s check it out in the video below and see how Ron Weasley is booking a tutoring lesson. What do you think? Can he do it? Can Ron handle Microsoft Bookings? This video will show a walk-through from accessing the booking page to the actual booking and checking the reservation email in Outlook. Of course this part is also in the full video included. You can easily embed you bookings page into you website just by using the embed button on your page and copying the source. That’s simple, but you can also connect your booking page to your Facebook page, which is really great. So your customers can book directly from Facebook. After you clicked that you sign in to Facebook, select your page and your button to book is ready! This article is a little different than usual, I think you saw that 🙂 This is an experiment and I hope it was “okay” as a first try. Please let me know your thoughts about it and my idea of providing articles in a video format as a second platform for my content. Microsoft Bookings is definitely an unrated service in Office 365. Even if you don’t have a company like a barber shop or fitness studio, there are ideas in my head where it could have potential. If you are a teacher you might build your own services you provide. In your company you can offer training sessions with this platform. It doesn’t matter if you offer a fresh haircut or music lessons or something else. Microsoft Bookings deserves more attention and I hope you see it after reading similar.